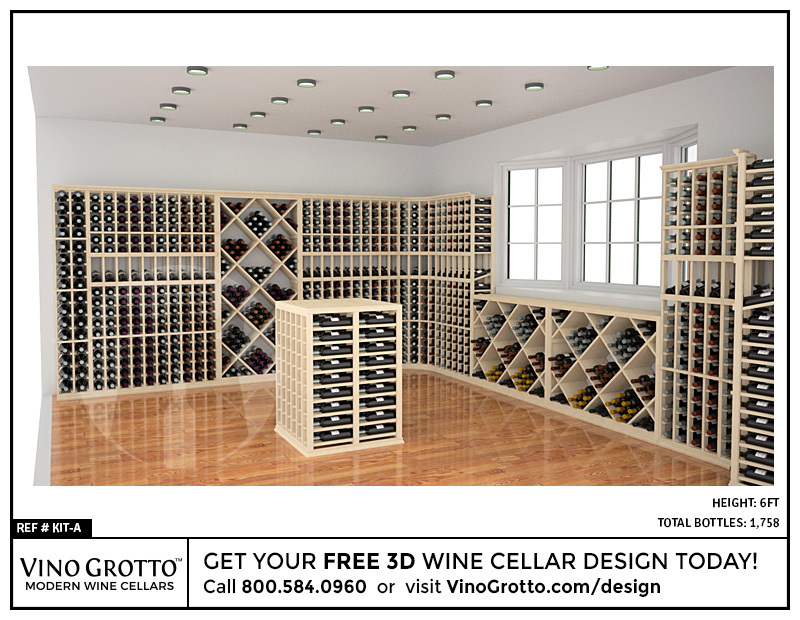 Storage for small and large bottles. 375ml to 1.5L (Magnum). 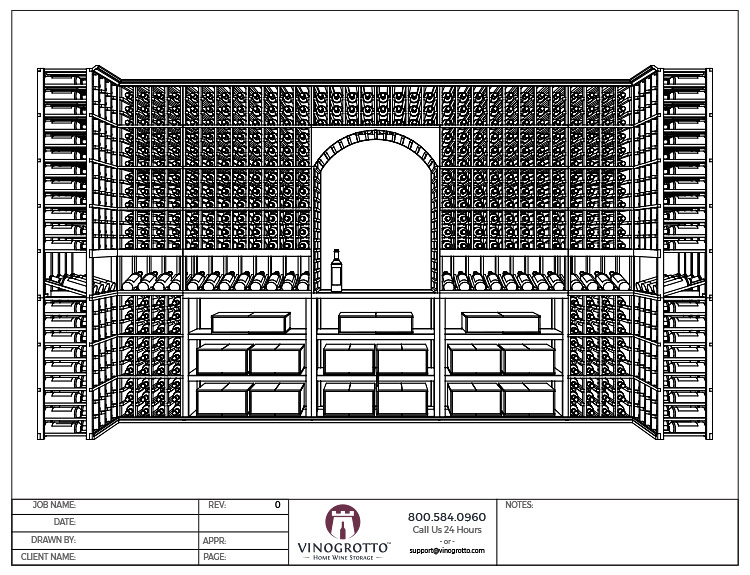 Cascading wine displays. Beautiful, eye-catching designs. For maximum bulk storage. Each rack has twice the capacity! 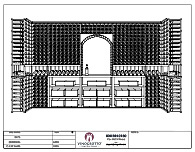 Crown and base moldings for all racks and curved corners. Solid tops to provide extra case storage above your racks. Go from DIY to custom-looking. 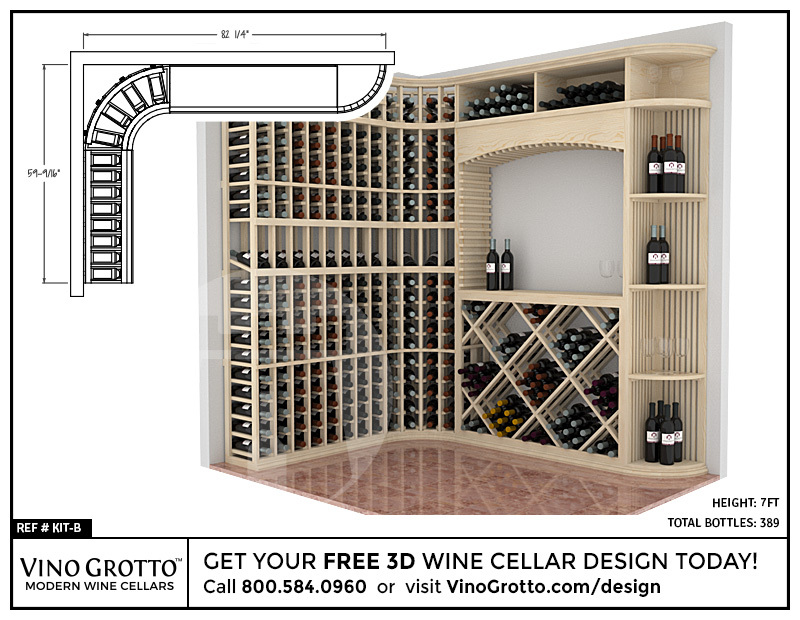 These moldings will help hide seams between your racks and make your cellar look like a single, custom complete piece. Professional Series standard racks has a full 3.75" bottle cubicles which allow you to fit all 750ml bottles (up to Turleys) comfortably. Don't tear your labels with a rack that is too small! 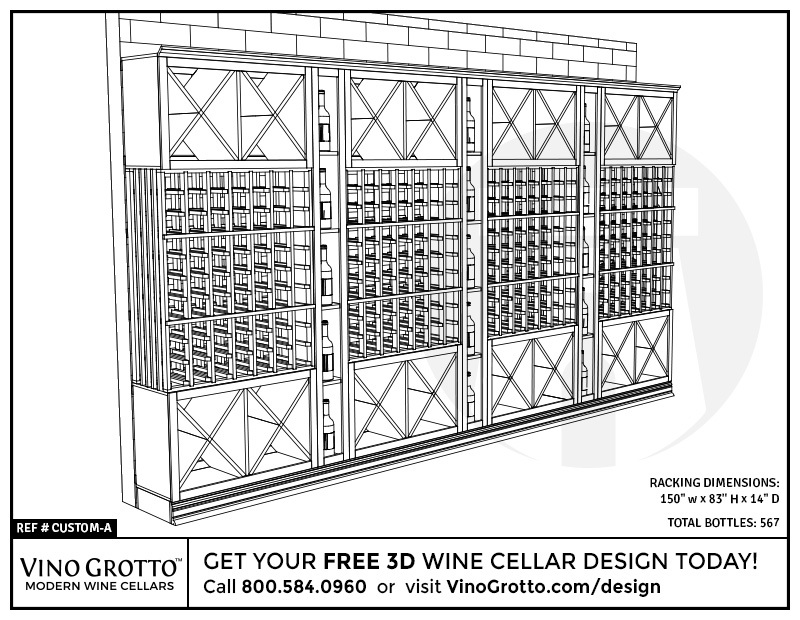 Magnum & split bottle racks are also available. 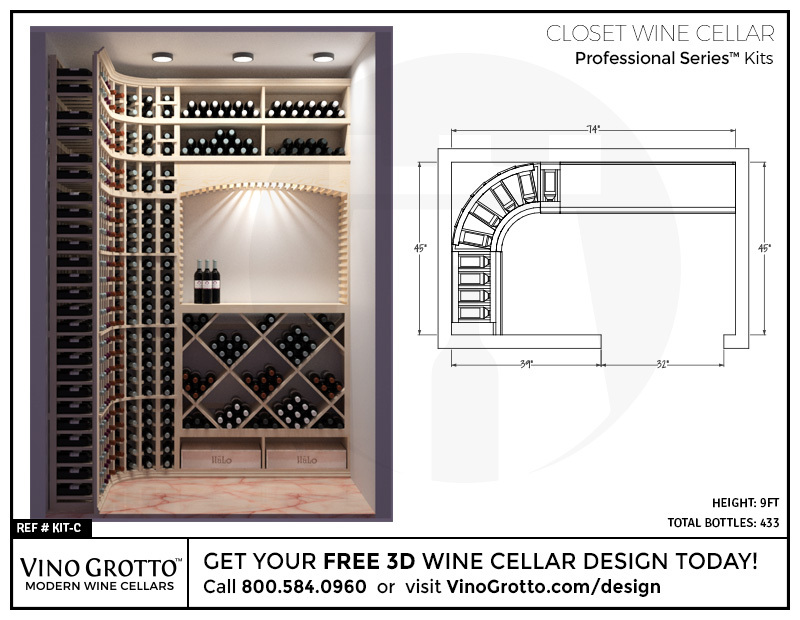 Real curved corners, bases and molding can only be found with Professional Series. Avoid tearing labels with easy-edge angled bottle supports. 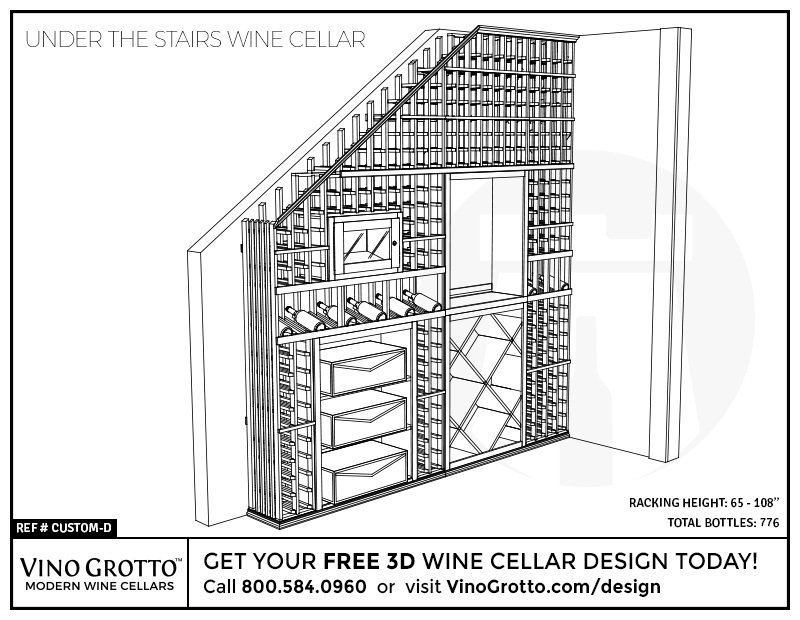 90 degree bottle supports on cheaper wine racks will TEAR your labels and devalue your expensive wine. Available in the best selection of wood options! 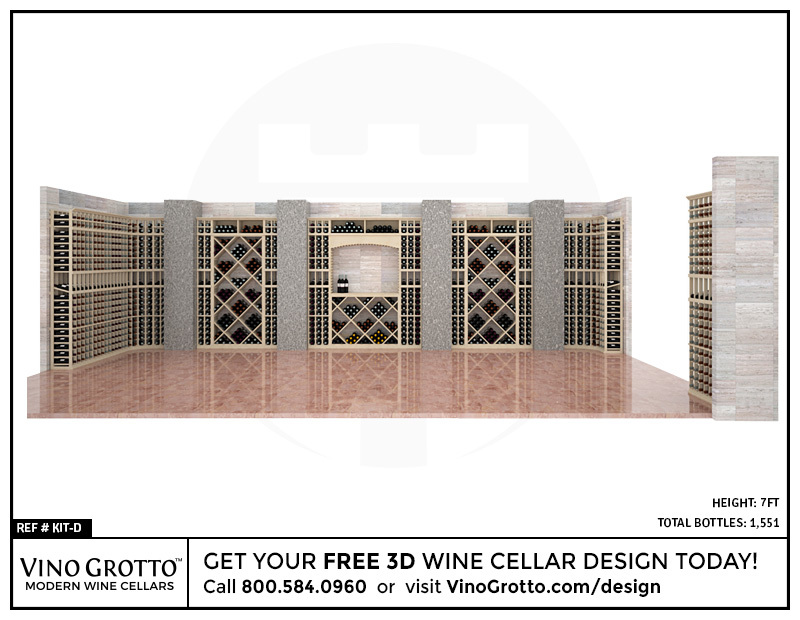 REQUEST A FREE Wine Cellar Design! 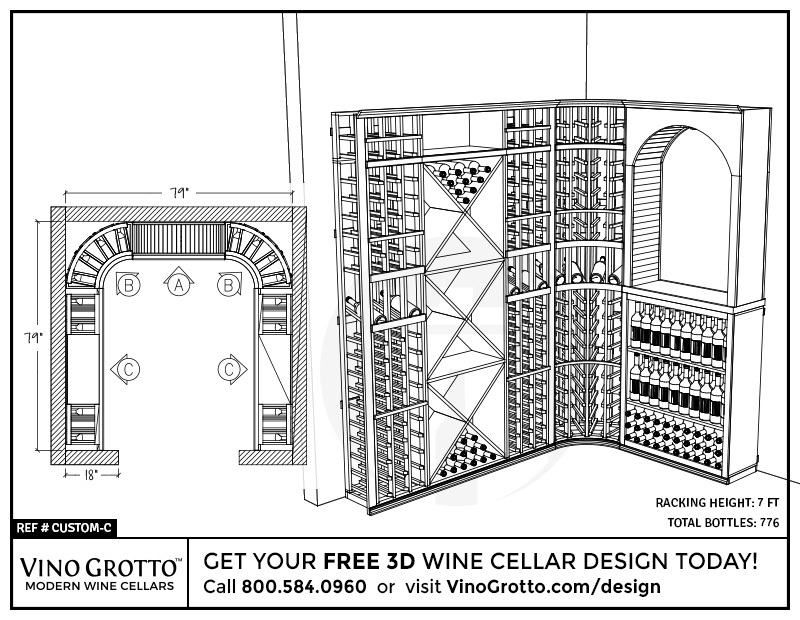 Let us design your wine cellar for you! We'll give you a call, ask a few questions, and create you something awesome.